I just got my new Ariel Atom. It’s AMAZING!!! I highly recommend the Atom to anyone who enjoys speed and handling. Zero to 60 mph in less than 3 seconds! 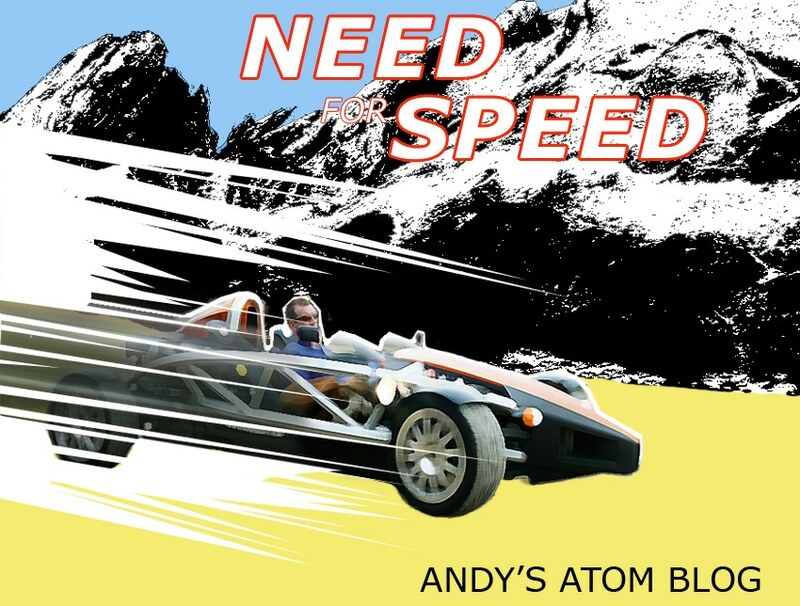 PART I – FINDING THE ARIEL ATOM The British TV show, TOP GEAR is a mixture of the hosts making fun of really crap cars and thrashing the life out of really good ones. As it says on the BBC website the show is like a combination of “Monster Garage” with “Lost’s” budget. I sat down with a beer in hand to watch my favorite show about cars, expecting to see many that I would drool over: Lamborghinis, Ferraris… cars well out of my league financially. This particular segment featured a sports bike racing an Ariel Atom — a car at that time unbeknownst to me. This peaked my interest because I’ve been into sports bikes all my life. So, seeing a car compared to a sports bike seemed like a pretty cool thing. The Ariel Atom blew away the sports bike and within a minute of watching the car, I too was blown away and knew I had to have one. The Presenter, Jeremy Clarkson (who has driven about every four-wheeled vehicle imaginable) called the Atom, “driving Nirvana”; “the most exciting car I’ve driven”; and “fast on a new level.” The video is 9 minutes long and you can click the YouTube link below to watch it. It definitely was a life changing moment for me and I knew I had to own one. The Ariel Atom, which was about the same price as a BMW M-3 was quicker than all bar one Supercar. It beat a $1million Porsche Carrera. Watching that video started a burn in me to own one. However, I live in Southern California and the company that makes the Atom is in Somerset, England. Nonetheless, I started visiting sites that had information on the Ariel Atom. It transpired that there was a company in Oregon called Brammo Motor Sports. Because of their skills in building race cars, they had been commissioned by Ariel to build the Atom for sale in the USA. Obviously this grabbed me massively! I looked on the Brammo Ariel site and they had what they’d call a configurator. So I played around fiddling with the configurator deciding what I would like. I picked the chassis, the color, and the engine configuration. I ended up picking the biggest one: the 300 horse power Ecotec. I also chose the big brakes and the race shocks. However, even though the Atom was priced equivalent to the BMW M3, it wasn’t something I could not throw money away on as a toy. I was in a transitional point in my business life and didn’t think I was in a position to purchase an Atom. So it went on the backburner for about a year. Over the course of that year I kept in touch with the Atom by visiting various forums and websites. The burn never went away. During that year I was very lucky to come across a business called Vetraceuticals. That business really changed my life. That business has exploded and it afforded me the ability to seriously look at buying the Atom. So, around Father’s Day, 2007, I kept receiving emails from Ariel that if I was going to buy the Atom, I should do so before that weekend, as prices were going to greatly increase. Fortunately through Vetraceuticals and their sponsorship (more on that later) I was able to commit to buy the car. Lo and behold, Father’s Day weekend, I wired a 25% deposit on a car I’d never seen in the flesh (only on TV and You Tube). Needless to say, buyer’s remorse set in, but I got over it as soon as I saw the Ariel Atom racing around race tracks again. Now that I’d ordered it, the only question was, how long was the wait? Brammo was a small company and I realized I was in for a bit of a wait — estimated about 4 months. The payments were to be staged in installments of four 25% chunks. I sent my second 25% and then my third 25%, again, all on a car that I’d never laid eyes on. Then, 6 months after I’d ordered it, the day came when I could go pick up my Atom. Because Brammo were two months later than expected, they threw in some nice upgrades: a custom color-scheme that I absolutely loved, a full fire-suppression system; a master kill-switch; an updated chassis with more elbow room which is good for me since I’m a big bloke. Finally the day came. The 21st of December. Could I make it up to Oregon? My heart skipped a beat. You bet I could make it up there. Wow, what a feeling!